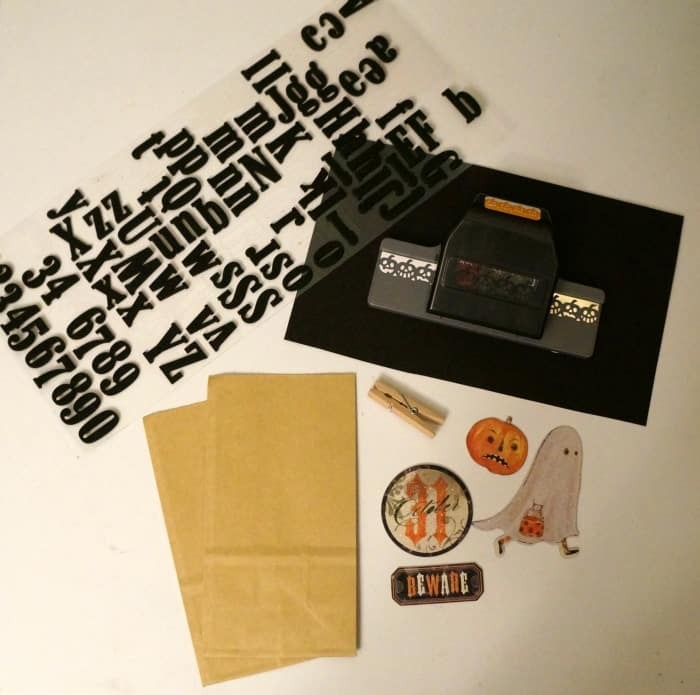 Halloween is fast approaching, if you have been reading you have no doubt seen all the fun Halloween projects I’ve been creating. Today I’m focusing on goodies for all those trick or treaters who will be coming my way very soon. Most children are over the moon excited about trick or treat, I know mine are, but not all of them will be able to enjoy the treats that are handed out. Many children have a food allergy of one kind or another that prevents them for enjoying traditional candy treats. 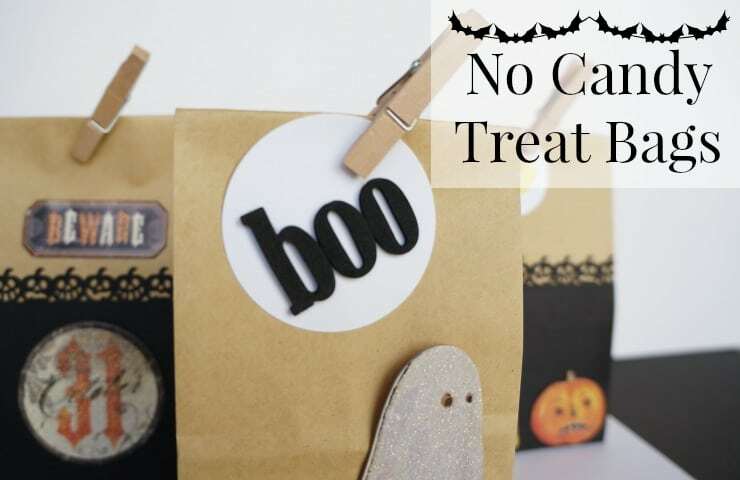 We will be handing out candy this year, but I will also have a bowl of no candy Halloween treat bags for kids that either cannot have candy or would rather have a fun bag of goodies. 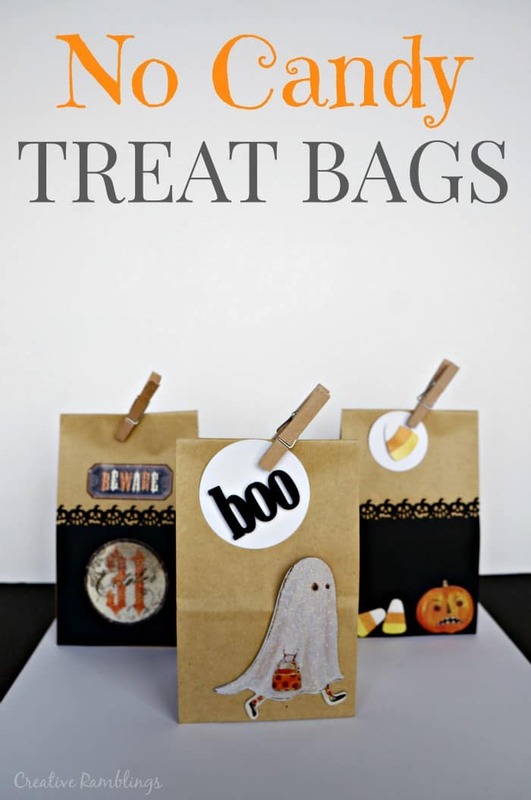 I used some simple craft supplies to make these bags along with a few Halloween embellishments. I had so much fun creating these. I waited until my kids went to bed and busted out my paper crafting tools. I don’t have the opportunity to play with these much anymore, so I relished my time. Each one is a little different, but they all hold a few trinkets and are closed with a cute little clothes pin. 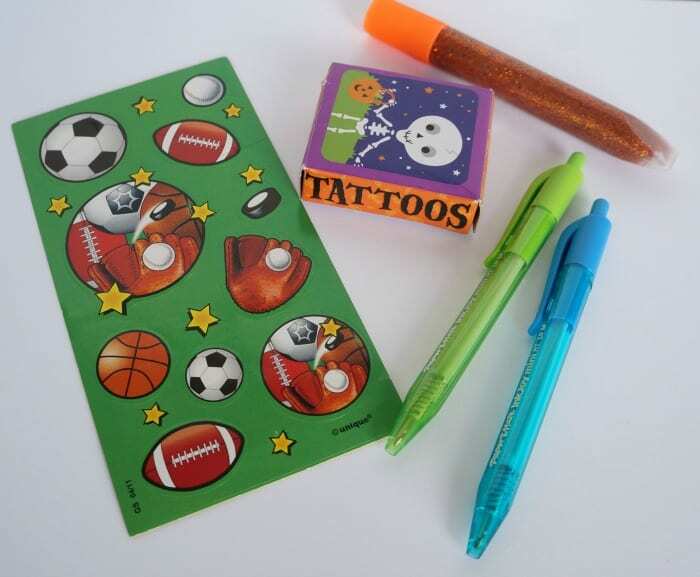 These are just a few examples of what I am including in these bags; stickers, tattoos, craft items, and small toys. Even with a bowl of candy set out I have a feeling some kids will opt for a mystery bag of goodies instead. I was inspired to create these bags in part because I know many children who are not able to eat traditional candy, but also because of this awesome teal pumpkin project. You can read all about it here. 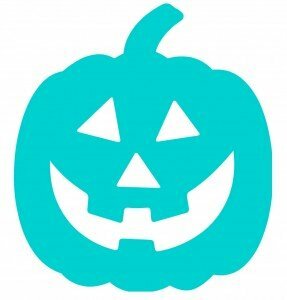 If you are handing out something other than candy this year, put a teal pumpkin on your porch and let families know that their kids can safely grab some treats at your house. Tell me, what are you handing out for trick or treat this year?